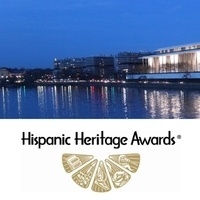 WASHINGTON, DC - The Hispanic Heritage Foundation (HHF) announced today that the 31st Annual Hispanic Heritage Awards will return to the John F. Kennedy Center for the Performing Arts in Washington, DC, on Wednesday, September 12, 2018. The historic program, which was created by the White House in 1987 to commemorate establishment of Hispanic Heritage Month in America, will also be broadcast nationally on PBS stations. The Awards are among the highest honors by Latinos for Latinos, and are supported by 40 national Hispanic-serving institutions. The 2018 #HHAwards Honorees will be announced over the coming months followed by the performers, hosts and presenters. Visit this page for updates and check out our YouTube Sizzle Reel. The broadcast date for the Hispanic Heritage Awards will be announced at a later date by PBS, the Kennedy Center and the Hispanic Heritage Foundation. Past Honorees of the Hispanic Heritage Awards have included Sonia Sotomayor, Rita Moreno, Plácido Domingo, Celia Cruz, Tito Puente, Gloria Estefan, Oscar Hijuelos, Martin Sheen, Ricky Martin, Rubén Blades, Fania All-Stars, Junot Diaz, José Feliciano, Carlos Vives, Alejandro Sanz, Juanes, Antonio Banderas, Juan Luis Guerra, Anthony Quinn, J Balvin, Zoe Saldana, Juan Marichal, Los Tigres Del Norte, Oscar de la Hoya, America Ferrera, Pedro Martinez, Luis Fonsi, Andy García, Gael Garcia Bernal, Latin Grammys, Diego Luna and others. * The Center and its affiliates stage more than 400 free performances by artists from throughout the world each year on the Center’s main stages, and every day of the year at 6 p.m. on its Millennium Stages, which are also streamed live, online. The Center also offers reduced and complimentary tickets to young people, active members of the military, and the underserved through its MyTix program and offers a Specially Priced Tickets program for students, seniors, persons with disabilities, and others with fixed low incomes. To learn more about the Kennedy Center, please visit www.kennedy-center.org.